Odia hotelier Sanjeev Kumar Patra, managing director (MD) of Bhubaneswar-based Hotel Sandy’s Tower, bagged the Youngest Hotel Entrepreneur of the Year Award-2017 recently. 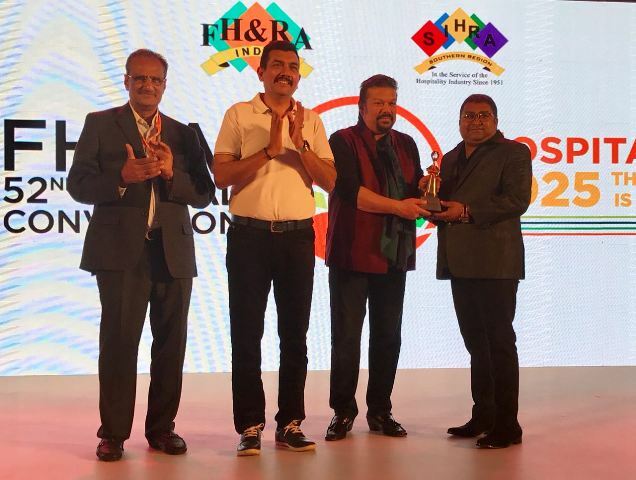 He was felicitated by Chef Sanjeev Kapoor during the 52nd convention of Federation of Hotel and Restaurant Association of India (FHRAI) held in Bengaluru. The award was in recognition of Patra’s exemplary hard work and talent in bringing about a significant change in the operations of the hotel and putting it firmly on a trajectory of sound financial growth. The ceremonial award function catered to 13-odd categories, out of which Patra received the highest honour. This is the only award, which recognizes individuals who started their own hotel venture and not inherited it. The award nominations were filed six months before the main presentation. Hotels had to undergo a through scrutiny of balance sheet, food quality and hygiene. Patra dedicated the award to Lord Jagannath and all young enterprising hoteliers of Odisha.